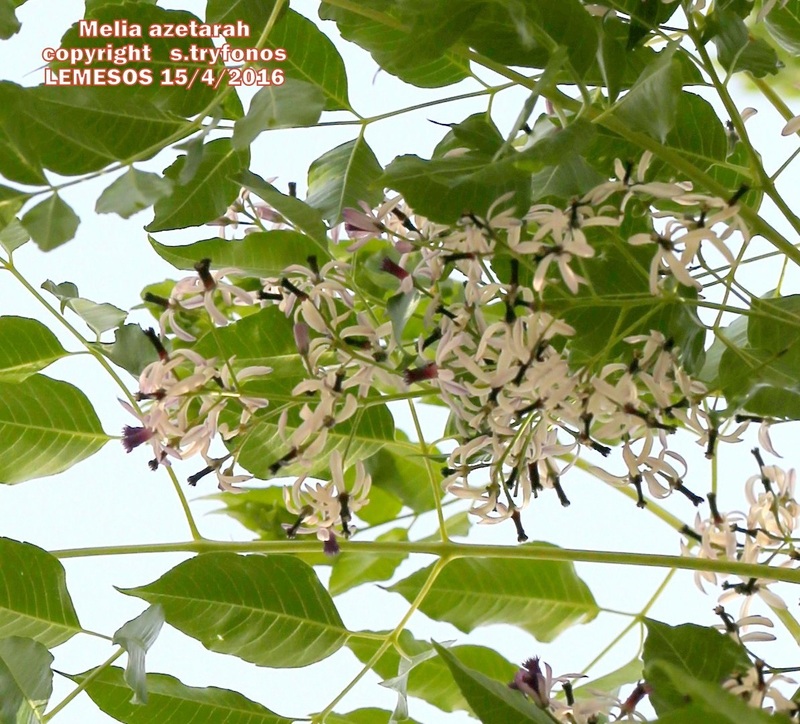 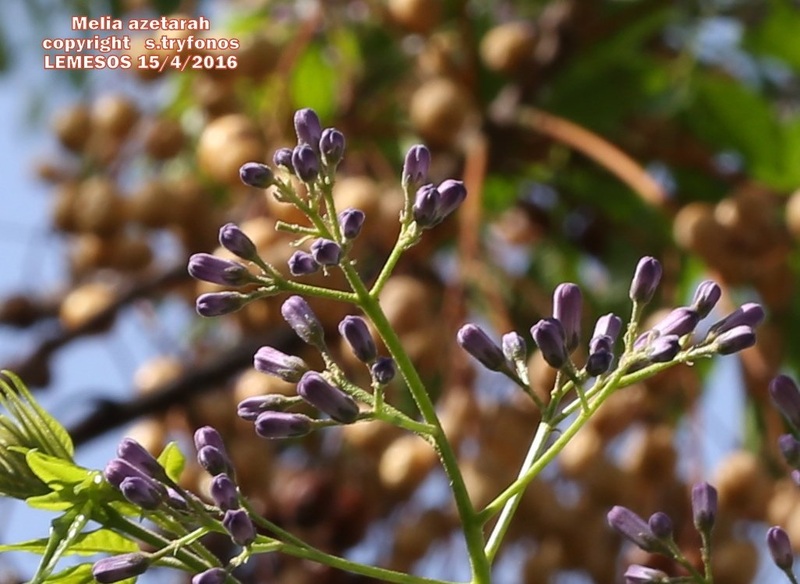 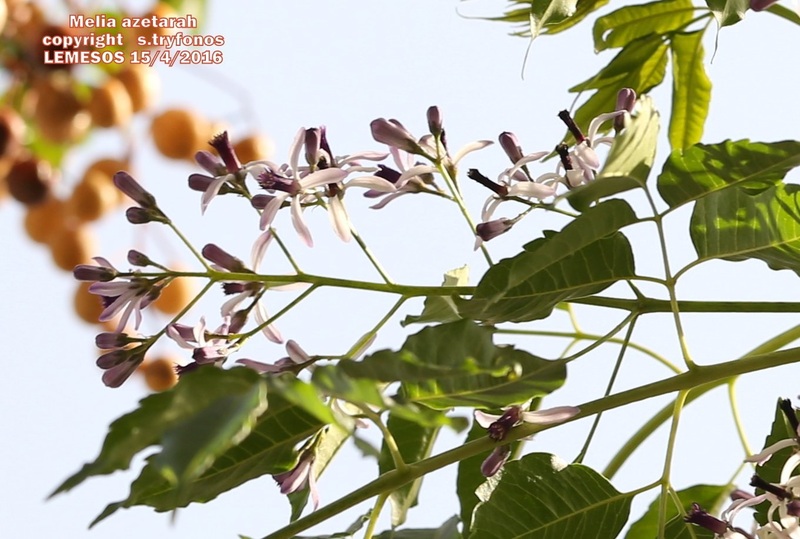 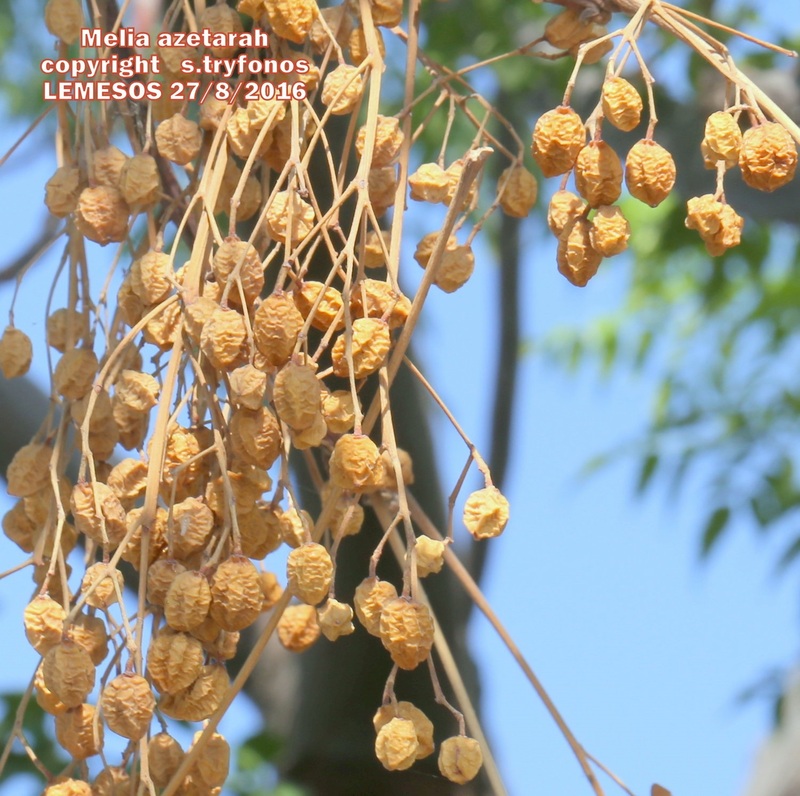 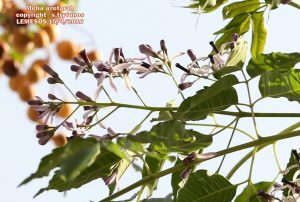 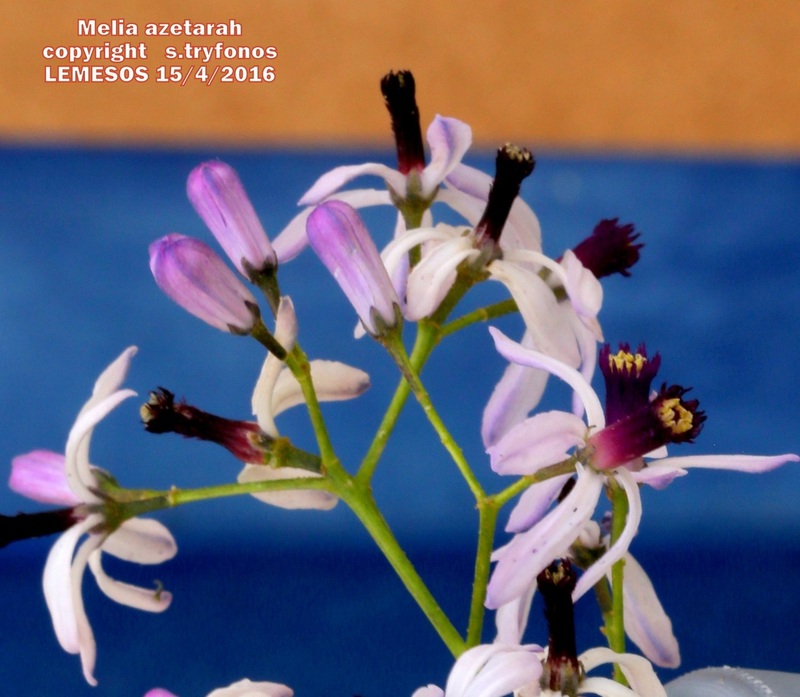 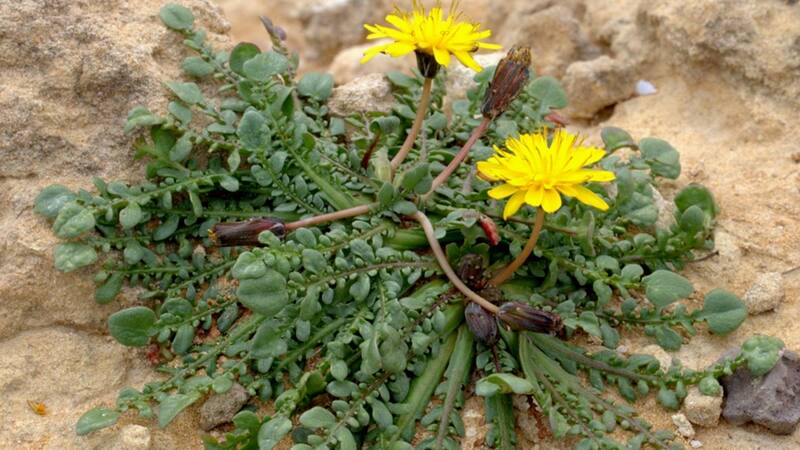 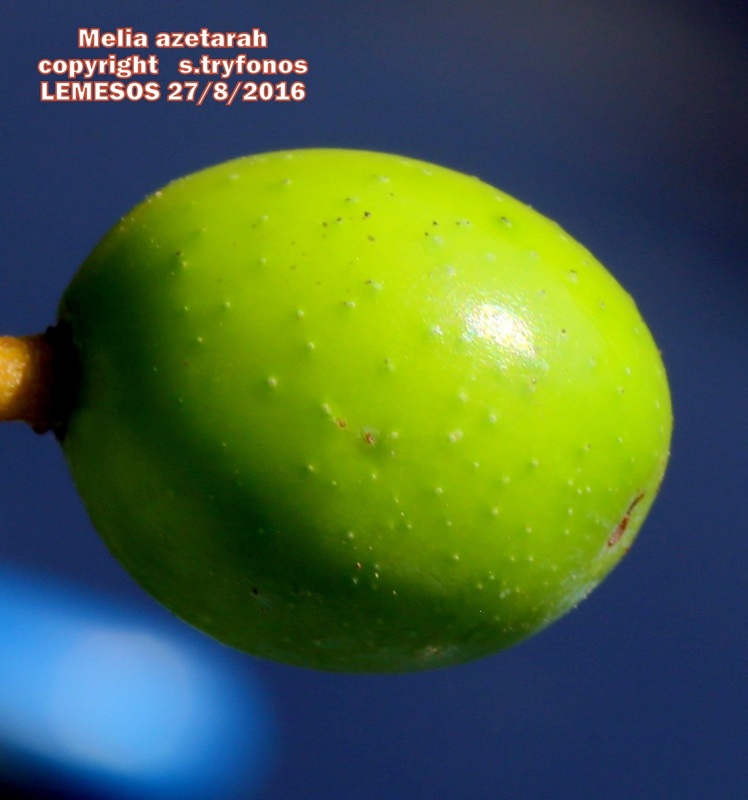 Scientific name/Επιστημονικό όνομα: Melia azetarah L.
Common name/Κοινό όνομα: Pride of India, Cape lilac, Persian lilac, Indian lilac, Μαυρομμάτα, Λουλλουδκιά, Αγριοπασχαλιά. 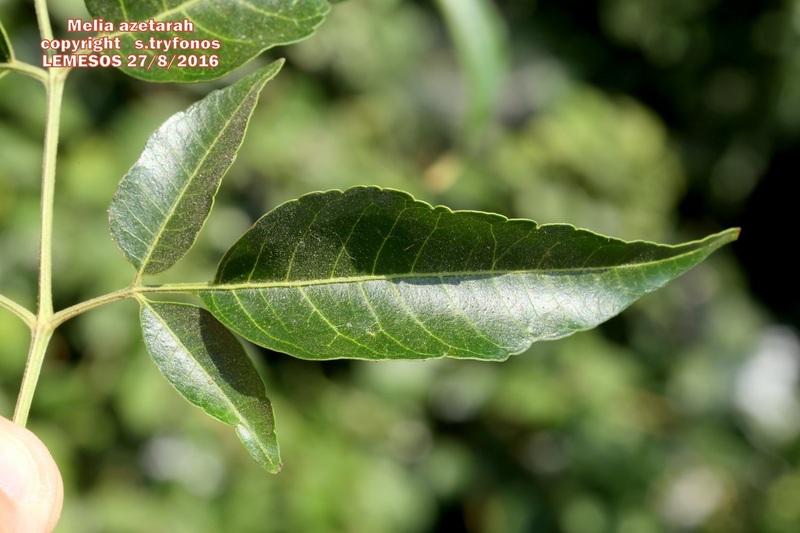 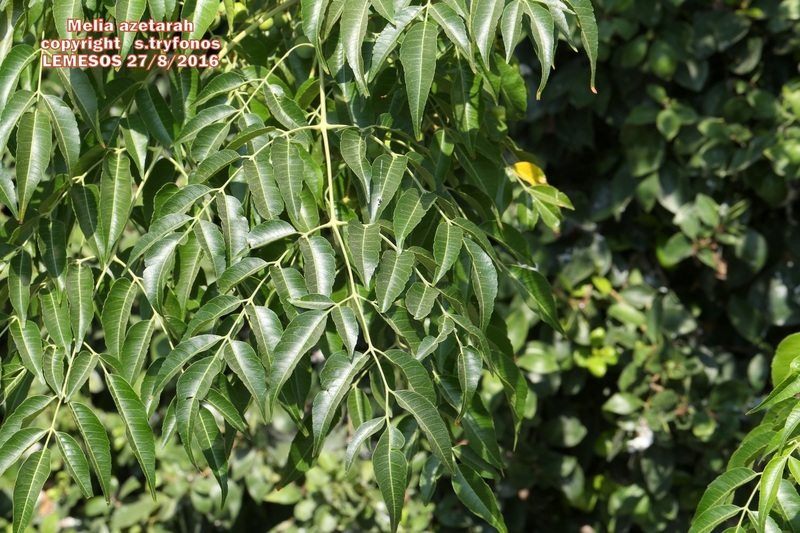 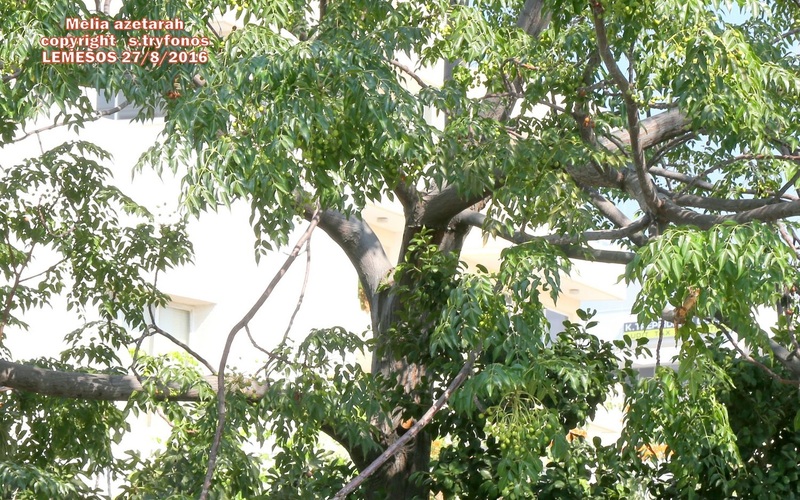 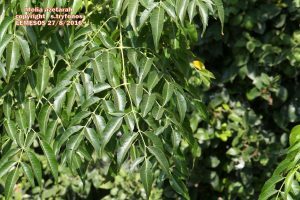 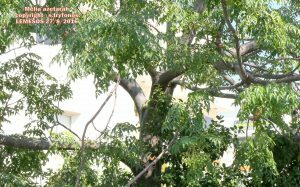 Deciduous tree up to 45m tall, but generally much smaller(15m), sparsely branched with light ash-gray bark, and open canopy; very young branches are green-brown turning to gray with age, dotted with brownish lenticells; Leaves alternate, compound, bipinnate, rarely tripinnate, with slightly pubescent petioles; leaflets ovate to elliptic, glabrous or subglabrous, petiolulate angled, dark green above, pale green and prominent yellowish veins below, margin entire or serrate, apex acuminate, base often irregular, cuneate, truncate or obtuse. Flowers many, fragrant, actinomorphic, hermaphrodite, in axillary racemes; petals 5, oblong and narrow, whitish-purple, sepals 5, short, dark green, stamens 10, filaments fused forming a violet-purple column. Flowering time April- May. 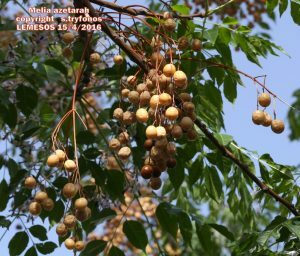 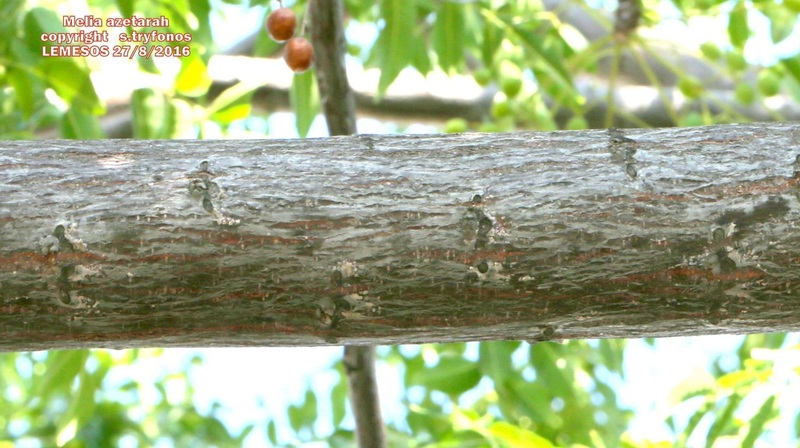 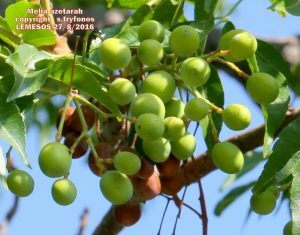 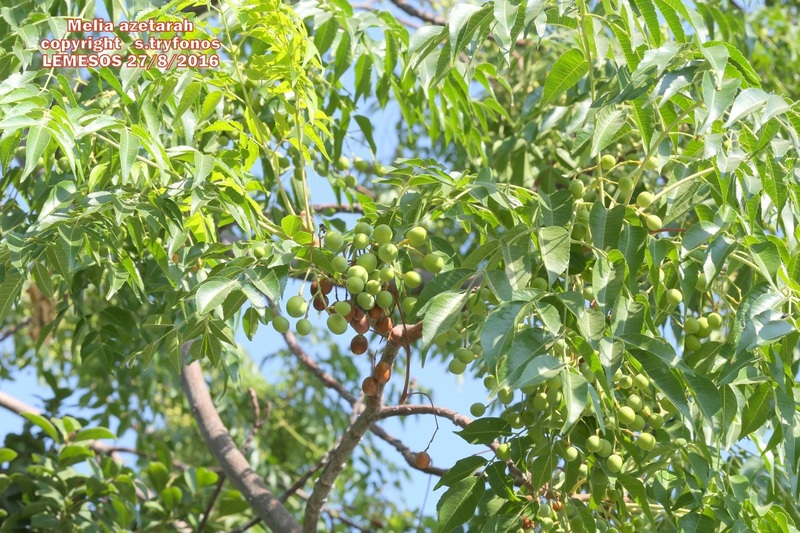 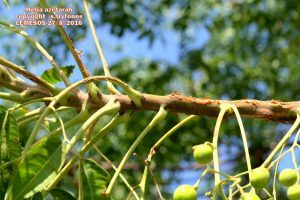 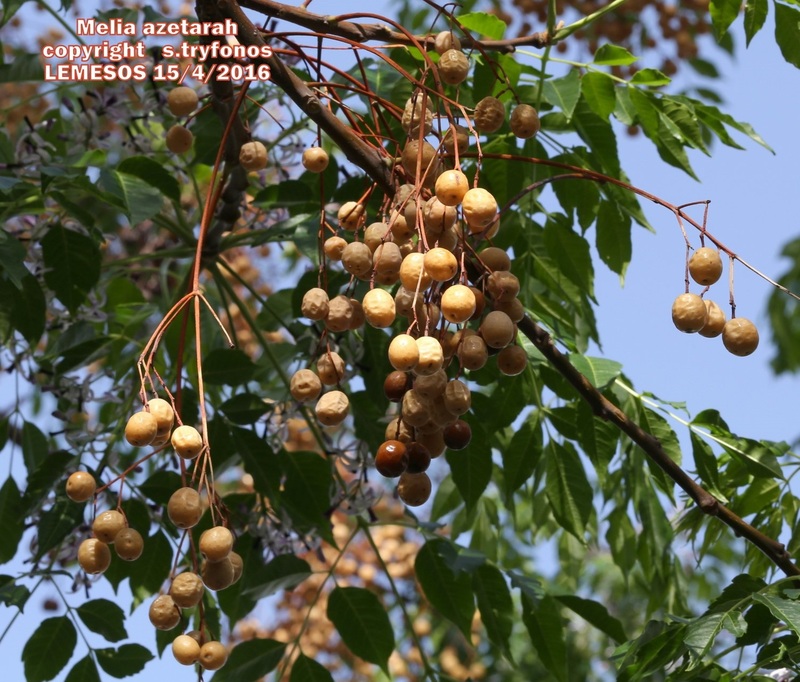 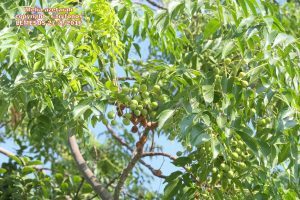 The fruit is a drupe, nearly round, turning from green to yellowish, is fleshy, becoming wrinkled after maturity and remain on branches for a long time ( one year). 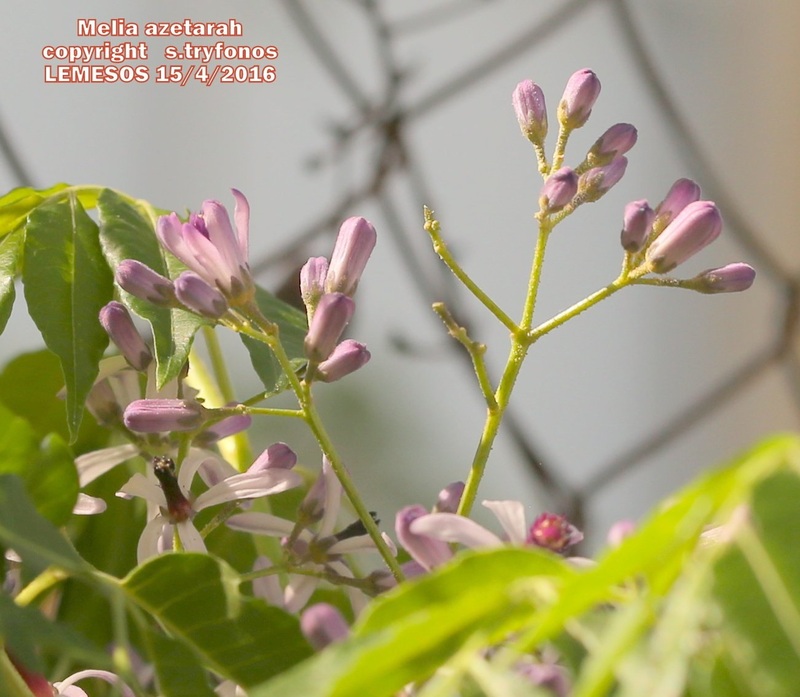 Native to India and southeastern Asia.